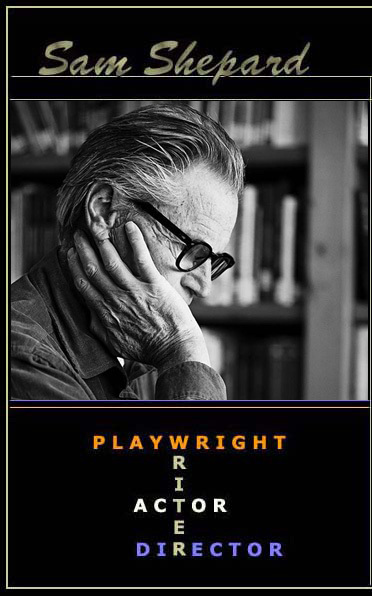 “` Sam Shepard was a Pulitzer Prize-winning playwright, an Oscar-nominated actor, and a celebrated author, whose plays chronicled the explosive fault lines of family, and masculinity in America’s West. His Western drawl and laconic presence made him a reluctant film star. “`The taciturn Shepard, who grew up on a California ranch, was a person of few words; however, he produced 44 plays, numerous books, memoirs, and short stories. One of the iconic influential playwrights of any generation: A plain-spoken poet of the modern frontier; both, lyrical and rugged. “`He appeared in dozens of movies — many of them Westerns — including Terrence Malick’s Days of Heaven, Steel Magnolias, The Assassination of Jesse James by the Coward Robert Ford, The Pelican Brief and Black Hawk Down. He was nominated for an Oscar for his performance as pilot Chuck Yeager in 1983’s The Right Stuff. “`Shepard was best remembered for his influential plays, and his prominent role in the off-Broadway movement. His 1979 work, Buried Child, won a Pulitzer for Drama. Two other plays — True West and Fool for Love — each nominated for a Pulitzer, as well, and are often revived. His early plays were fiery, surreal verbal assaults; while providing American theater a frenzied direction that compares favorably to the tumultuous 1960s. A drummer, Shepard found his own rhythm in his writings. Sam’s collection, Seven Plays, includes his best plays, such as Buried Child and The Tooth of Crime, and was dedicated to his dad. “`Sam met Academy Award-winning actress Jessica Lange while on the set of Frances. They were together for nearly 30 years; separating in 2009. This entry was posted on Monday, July 31st, 2017 at 12:32 pm	and is filed under Blog by Manny Pacheco. You can follow any comments to this post through the RSS 2.0 feed. Responses are currently closed, but you can trackback from your own site.